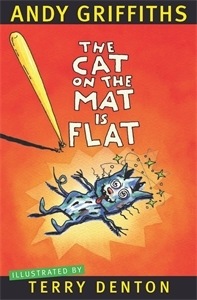 How did the cat on the mat get flat? Why did Ed and Ted and Ted's dog Fred get spat out of the head of a whale called Ned? Where was Harry Black when Jack the Yak stole the snack from his sack? What happened to Buck the Duck's brand new muck-sucking truck? Who else, apart from Andy G and Terry D, was chased up a tree by an evil bee? The answers to these stupid questions – and many other stupid questions – are contained in this deeply stupid book... Well, what are you waiting for?